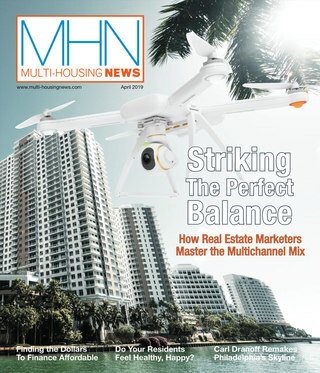 Boca Raton, Fla.—Industry watchers at the 2014 National MultiFamily Housing Council (NMHC) Apartment Strategies Outlook Conference confirmed that 2014 will be the year of the lease up. And that if Millennials are the target market, investors will want to keep an eye on cutting-edge pet amenities. According to the most recent U.S. pet ownership statistics, 36.5 percent of American households own dogs and 30.4 percent own cats. Pet owners can be found in all age groups, but Millennials are perhaps the most demanding when it comes to their four-legged companions. Exercise areas, grooming stations and daycare options are quickly becoming the norm. Developers that don’t provide relevant features for pet owners will be in for a rude awakening. And property management teams need to be friendly to pets as well, taking the time to connect the name with the face. “You have to smile and pet them when you run into them in the elevator,” advised Gregory Mutz, chairman & CEO of AMLI Residential. NMHC’s Apartment Strategies Outlook conference and the subsequent NMHC Annual Membership Meeting are a must for apartment industry executives wanting to move deals along to the next level, reconnect with potential business partners and hear expert predictions for doing business in the year ahead. Besides the consensus that providing amenities specifically for pet owners is essential — this advice was repeated on a variety of conference panels — panelists also exchanged views on the most promising markets. Seattle is a favorite. With limited sites and opportunities, take a shot when you can. Conference panelists are also bullish on Houston. And with fewer and fewer urban sites available, investors who had been focusing primarily on urban infill are once again getting excited about suburban locations provided they’re near jobs (the closer to infill and transportation nodes, the better the opportunity). It’s a matter of weighing the difference between urban versus suburban yield. Also, the entitlement process in urban areas is generally easier and more predictable. Renters would be willing to pay more for pet-friendly amenities, but green is another story. For that reason some investors are more focused than others. However, according to Mutz, “We have not developed [in years] an asset that is not LEED; 100 percent of our pipeline is [going for] LEED. And we promote our ‘green-ness.’ I know Morgan Stanley is committed to green. The big institutional investors are being pushed to be greener. 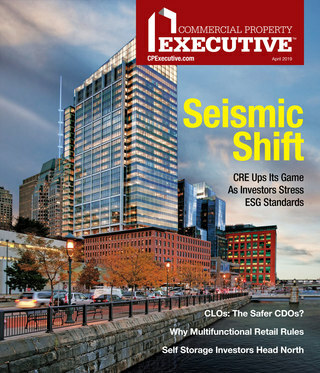 I think if weather anomalies persist, we’ll see more pressure on the industry to be environmentally sensitive.” And, Adam Fruitbine, managing director, Alliance Residential Company, added that even when LEED certification isn’t pursued, local codes are pushing green.